Merrick, NY - Investors Bank has selected Therese Mora to lead its team at the new branch in Merrick, Long Island, located at 2150 Merrick Road. The branch opened on May 15, 2017. Ms. Mora will report to Senior Vice President and Regional Manager Michael Billia, who is charged with growing Investors Bank’s banking operations in Nassau and Suffolk Counties, New York. During her banking career, Ms. Mora has built long-lasting relationships with her clients, and has significantly increased deposits at each branch she has managed. Dedicated to the branch teams that she works with, she mentors each team member to help them achieve their career goals and reach their personal potential. She also actively supports the communities and local nonprofits where her branches are located. Ms. Mora has held many management positions in her banking career. 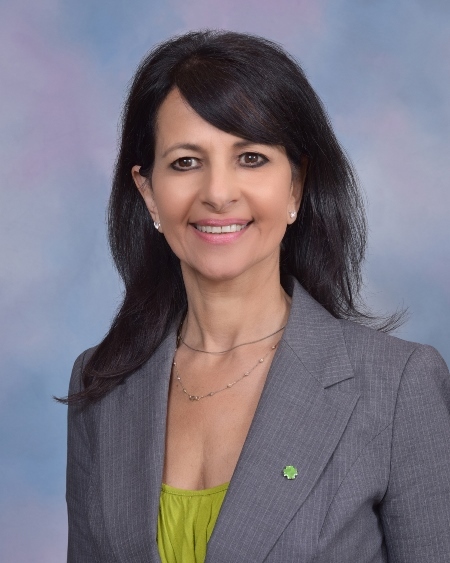 Prior to joining Investors Bank, she was a vice president with TD Bank and took charge of developing its branch in Huntington Village. She also ran a number of retail branches on Long Island during her nine-and-a-half-year career with TD Bank. Previously, Ms. Mora held a series of executive positions with the retail banking group of the Bank of New York (BNY). Her responsibilities included opening a branch for BNY in Farmingdale, New York. Ms. Mora began her more than two-decade banking career with Chase Bank when she was 23. Her first position there was as an assistant branch manager in Medford, New York. Ms. Mora earned a dual major bachelor’s degree in business and education at Adelphi University. She also received an associate’s degree in early childhood education from the State University of New York in Farmingdale. While there, she helped start a nursery school for children of the professional teaching staff, which still operates today. In addition to being a quintessential “career woman” and the mother of four children, Ms. Mora is a banking executive who gives back to the community. She has served as a board member and treasurer of the nonprofit General Needs, which assists and serves thousands of homeless veterans on Long Island. She also volunteers her time working with local organizations committed to preventing domestic violence.